Psychology Associates would like to invite adoptive parents and foster carers to attend their one day PACE Workshop, 26th September 2016 in Exeter. Titled Use Principles of PACE in your parenting, the course will be run by Dr Sarah Mundy and Dr Molly Bodinetz, Registered Clinical Psychologists. Both specialise in working with children who have been adopted or fostered and have many years of experience in this area. PACE is a highly successful approach for working with children who have experienced trauma in their attachment relationships. The workshop will introduce the principles of PACE and provide an opportunity to practice the approach as well as reflecting on your experience of using PACE. The PACE approach was developed by Dan Hughes, for further information please visit What is meant by PACE?. The event will be held at the Sandy Park Conference Centre in Exeter on the 26th September 2016 from 10am-4.30pm. The cost of the workshop is £105.00(+VAT) per person and lunch and refreshments will be provided. 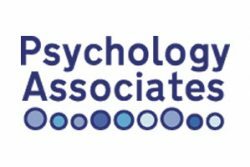 For more information please visit the event page and for a booking form please email Amanda.taylor@psychologyassociates.org.uk.